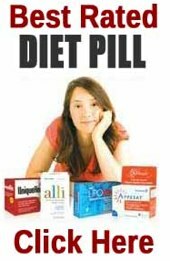 Phentermine is a prescription only diet pill with a long and somewhat checkered history. To this day it is still acknowledged as being one of the most effective weight loss drugs available, and many manufacturers of weight loss supplements have tried to cash in on Phentermine’s reputation by giving their products similar sounding names or proclaiming them to be nonprescription Phentermine substitutes. True Phentermine diet pills are only available with a prescription though, and with good reason because there are many serious issues connected with the drug’s use that makes medical supervision absolutely necessary. Phentermine is the abbreviated name for the drug phenyltertiary-butylamine. 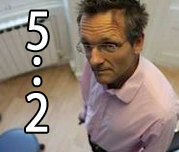 It is a stimulant that shares much in common with, and is closely related to, amphetamine. Like amphetamine, Phentermine can be highly addictive and this is just one of many reasons why the drug’s use has to be monitored so closely. It is also worth noting that doctors only prescribe the drug to seriously obese patients whose health and wellbeing—or very life—may be in jeopardy if drastic measures are not taken. In all cases continuous use is restricted to a maximum of 12 weeks. Phentermine is a very effective appetite suppressant that can reduce food cravings significantly, thereby reducing the daily intake of calories. But this is only half the story because if the body is unable to meet its energy requirements from ingested food, it is then forced to break down stored body fat and use it as an alternative source of energy. 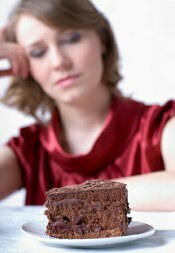 Many appetite suppressants work by tricking the stomach into feeling full. Phentermine is different. It stimulates glands in the brain, causing them to secrete increased amounts of the hormone norephrine, which then puts the body into a flight of fight condition. This condition is a normal part of human genetics that occurs whenever a potentially life threatening situation is encountered. The mind becomes more alert, adrenalin is released, and the body becomes ready to either fight for its life, or run for its life; many other changes also occur and one of them is a naturally suppressed appetite. 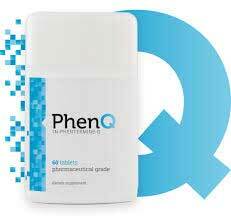 Phentermine was first formulated and introduced in the 1950s and was approved by the FDA in 1959 (for the short term treatment of the clinically obese). By the 1970s the drug was widely distributed throughout the USA, under several generic names and was already known to be very effective. It was also one of the cheapest FDA approved drugs available and both these factors contributed to its popularity. In the 1990s new studies revealed the significant weight loss attributed to Phentermine could be improved upon by combining it with certain other ingredients. Flenfluromine was one such ingredient and the drug fen-phen (fenfluromine and Phentermine) became an overnight success. In 1996 there were 6.6 million prescriptions for Fen-Phen, in the US alone, but this success was short-lived because the drug was banned the following year. Several nasty side effects had been noted and a subsequent investigation revealed 30% of users developed heart valve disease. The FDA requested Fen-Phen and other similar drugs be removed from the market, but Phentermine continued to be available with a doctor’s prescription. 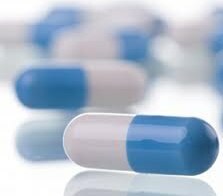 Many other side effects are also possible, so it is easy to see the reason why the use of Phentermine needs to be monitored by a doctor, and it goes without saying the doctor needs to be informed of any side effects experienced so that he/she can accurately monitor the situation. Is Phentermine worth the Risk? Phentermine remains one of the most powerful weight loss drugs available and has proved to be very useful for treating the clinically obese. Some of the side effects are worrying, but the range and severity of side effects will be different with each individual user and it is conceivable that some users may suffer little or no side effects at all. It is also important to remember that Phentermine is a prescription only drug, and the prescribing doctor will be monitoring any reactions that result from its use. So if any users show particularly bad reactions to the drug, the doctor can then choose to discontinue its use. It should also be remembered that the clinically obese often face severe—and sometimes life threatening—health issues, related to their obesity. In cases like this the known benefits of a Phentermine prescription may far outweigh any possible negatives, but this will always be a decision that is best left to a doctor and present legislation ensures this wise precaution is adhered to. As explained above it is not available to simply buy over the counter at the likes of Boots the Chemist or Tesco. A doctors prescription has to be administered, prescriptions are hard to come by as this is essentially a drug and so doctors will not prescribe unless there is a real necessity and certainly not for vanity. There are however several commercial product that are arguably more effective and certainly safer with a significantly lower risk of side effects.